A coalition of more than 250 private, government, academic and non-governmental organizations, including some of the world’s largest producers of consumer products, launched the New Plastics Economy Global Commitment at the Our Ocean Conference in Bali, Indonesia Oct. 29. Led by the Ellen MacArthur Foundation in collaboration with UN Environment, signatories committed to realizing a vision of creating a circular economy for plastics that will eliminate plastic waste and pollution completely at the source. All told, corporate members of the coalition account for 20 percent of all plastics produced globally. 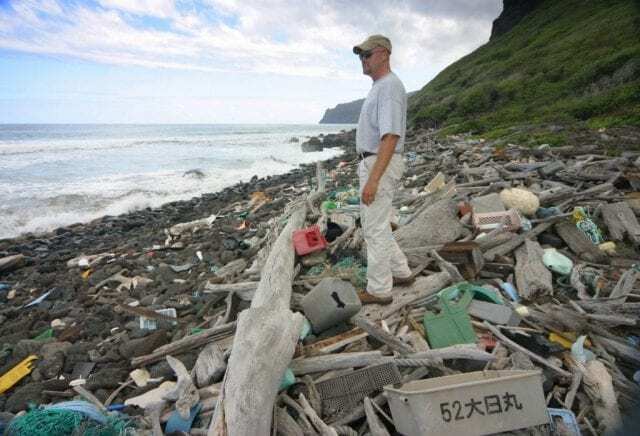 Plastic “garbage patches” that exceed the geographic area of many countries have been discovered in all the world’s major ocean basins since sailors revealed the Pacific Ocean Garbage Patch online in the early 1990’s. They’ve been growing ever since. Microplastics are also being found in the guts of a growing range of animal species the world over, including in the guts of living humans. 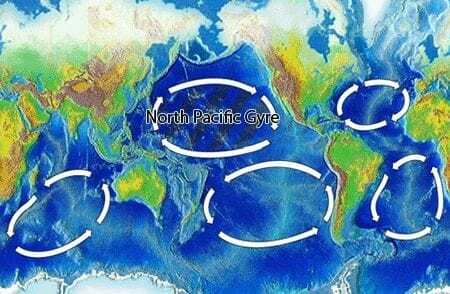 Prevailing winds and converging, circular patterns of ocean basin-wide currents – gyres – are the reasons plastic and all kinds of other solid refuse accumulates in particular areas of the world’s oceans. Spanning more than 1.6 million square kilometers (617,763 sq. mi. ), the Great Pacific Garbage Patch was estimated to be twice the size of Texas as of September this year. As if this all the discoveries about gigantic masses of oceanic plastic waste accumulating in the world’s oceans aren’t disturbing enough, a medical doctor and scientific researcher recently discovered microplastics in the guts of eight people who volunteered to be part of a small, study – the first of its kind. Three men and five women ages 33 to 65 from seven different European countries and Japan participated in the study. They kept a food diary for a week and then provided a stool sample for testing. All the samples tested positive for plastic, according to a National Geographic report. The study was conducted by Philipp Schwabl, a gastroenterologist at the Medical University of Vienna. Schwabl hopes his initial research results will spur greater interest in, and funding for, researchers to investigate the effects ingestion of microplastics may have on human health, as well as where the microplastics originate. Besides discovering plastic waste in the deepest depths of the ocean, researchers have discovered microplastics present in the digestive and excretory tracts of just about every type of marine form of life and a growing list of terrestrial, avian and freshwater, aquatic species on the planet, as well as in rivers and other waterways. Circulate all the plastic items we use to keep them in the economy and out of the environment. At the heart of the Global Commitment is a vision of a circular economy for plastic in which it never becomes waste. Included among the 250 signatories are some of the world’s largest producers and users of plastics, including consumer products company known worldwide, such as Danone, H&M group, L’Oréal, Mars, Inc., PepsiCo, The Coca-Cola Company and Unilever. Major producers of plastic packaging, such as Amcor, as well as plastics producers, such as Novamont, and resource management specialists, such as Veolia, have signed on as well. The New Plastics Economy Global Commitment is part and parcel of a global vision and the emergence of a circular economy for plastic, a conceptualization that’s supported by the World Wide Fund for Nature (WWF) and has been endorsed by the World Economic Forum, The Consumer Goods Forum, a coalition of CEOS representing some 400 retailers and manufacturers from 70 countries, and 40 universities, institutions and academics. According to the Commitment, more than 15 financial institutions managing assets worth in excess of $2.5 trillion, have also endorsed the Global Commitment. In addition, five venture capital funds have pledged to invest more than $200 million to help create a circular economy for plastics. In terms of long-term targets, the businesses, governments and other signatories to the New Plastics Economy Global Commitment have agreed to work towards achieving a clear set of 2025 based on a set of shared definitions. They are to report on progress annually so as to ensure transparency and maintain forward momentum. Targets are to be reviewed every 18 months and will become increasingly ambitious in the coming years, according to the program’s originators.